It’s ours: the sale of the Laura finally closed yesterday evening (our time)!!! Wow. Wow. Wow. It took some time due to the intricacies involved in international monetary transactions from SA, but the Hillratts are now officially owners of a beautiful boat in Mexico. What a flippin awesome start to the week! In other news, Stoffel’s team in Cowes cleaned up their pretty competitive J109 class sailing on Jeroboam. I am so proud. So are they! Particularly as prior to this week, Jeroboam has (apparently) not been a big performer. They “won” two trophies. Basically, they got to have their photies taken with two trophies and then they had to give them back… but they still got the glory. Now they have a hectic week of getting ready for the Commodore’s Cup where they are sailing on the Zelda (also a J109) and representing southafrica! 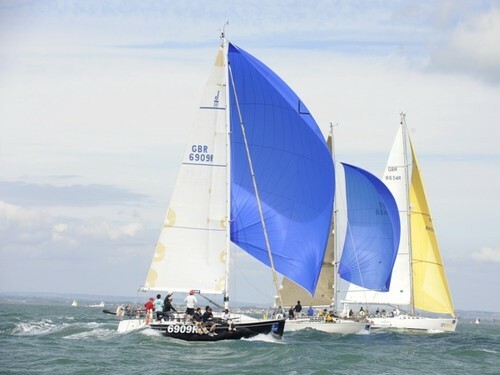 Commodore’s Cup is a serious international competition in which each country puts forward a small, a medium and a big boat. Zelda is SA’s small boat, Tokoloshe is the medium one and Wind Power is the big one. Here is an article about how well they did in Cowes Week, and here is an article about the SA team for Commodore’s. Glorious.